Unfortunately, your registration has been declined by the auctioneer. You can contact the auctioneer on 01419445257 for more information. You are the current highest bidder! To be sure to win, come back on 22 Aug 2016 11:26 BST Date Format as the lot closes or increase your max bid. 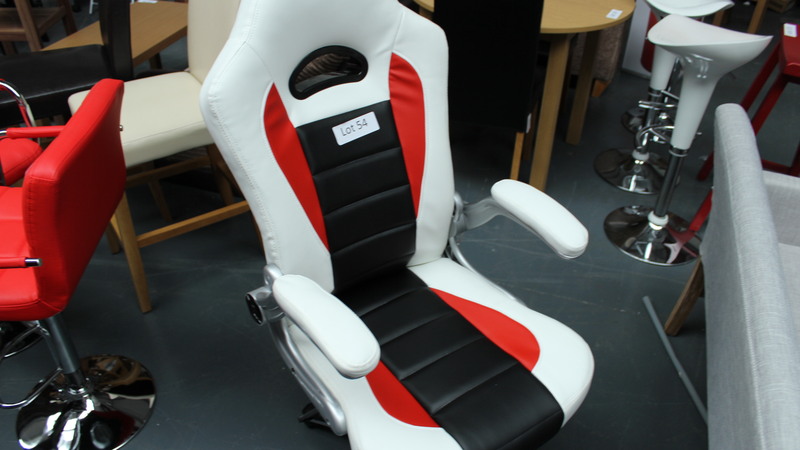 For Lot 59 Limited delivery information please telephone 01419445257. 10.00 - 17.00 Saturday 20th August. All goods sold by Lot 59 Ltd are 'sold as seen' therefore we do not accept any returns and with no warranties or guarantees either from ourselves or the original manufacturer. We encourage all our buyers to view the items before placing any bids. By placing a bid, bidders are deemed satisfied with the condition of the item. All Buyers specifically acknowledges that the goods are sold as is and the sale is not a consumer sale and therefore not covered by the Sale of Goods Act 1979 (as amended by the Sale and Supply of Goods Act 1994 and as replaced by the Consumer Rights Act 2015.) No goods purchased have any warranty or guarantee. We will make sure that descriptions, pictures and conditions are accurate as possible, but pictures may be stock pictures and description may be generic and therefore must not be relied on as the true representation of the product. Any statement of condition or any other opinion given will be given to the best of our ability and should not be considered as fact. Unless the description states otherwise, all goods are customer returns, end of line stock, failed delivery. All stock is untested and sold as seen. All images are for illustration purposes only and does not indicate the condition of the item. Post and Packaging can be arranged at additional cost. Collection in person can be made by visiting our warehouse at the specified times in each auction. Please note that responsibility for each item transfers to the buyer at the fall of the hammer so customers are advised to take out any necessary insurances. We reserve the right to refuse any bid, exclude any person from the auction process for any reason.